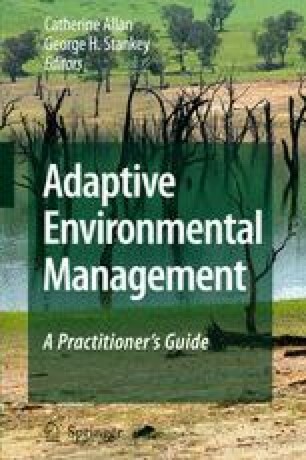 Adaptive management initiatives are frequently used in multi-stakeholder situations. The more immediate barriers to success in these cases are proving to be organizational and social. We use a case study set in the South Island tussock grasslands of New Zealand to reflect on some of the social elements required to support ongoing collaborative monitoring and adaptive management. We begin by siting the case study within its wider policy context to show how this influences the choice and application of scientific inquiry. The next section concentrates particularly on the processes by which information and knowledge are shared across the different stakeholder groups involved. Finally, we expand on some specific lessons that emerge as important for sharing information and knowledge in adaptive management, including tools to support dialogue and improved tools for evaluation.